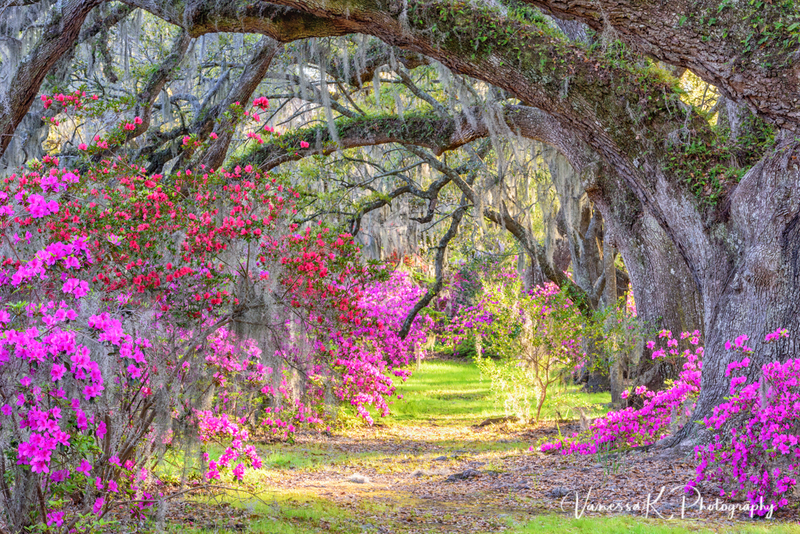 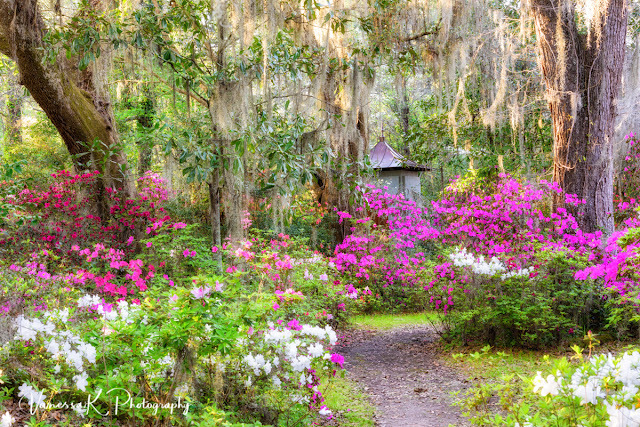 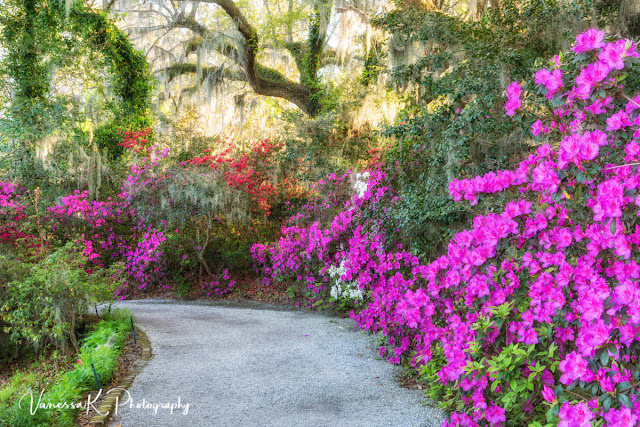 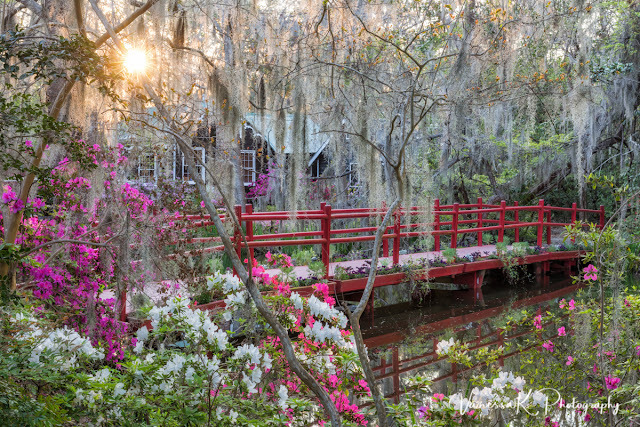 Magnolia Plantation is looking magnificent this weekend. 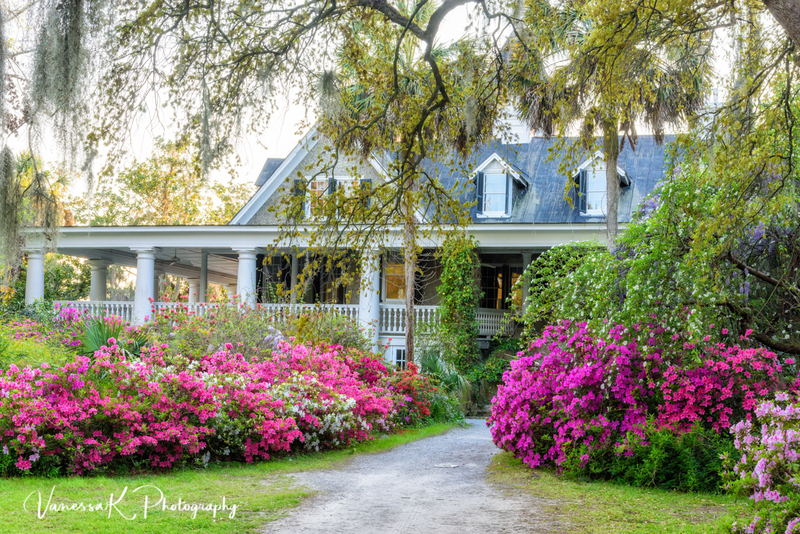 The Azaleas and Dogwoods are all at their peak, purple Wisteria and many other flowering shrubs abound everywhere you look. 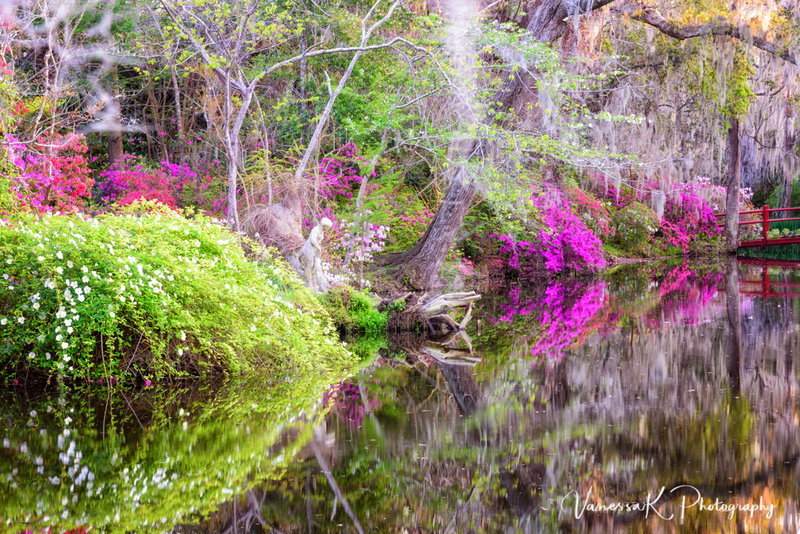 Of course everywhere you look there are photographers falling over each other to capture the scenes, and people come from all over the country, maybe all over the world to admire the horticultural spectacle. Here are a couple of examples of riotous color everywhere you look.